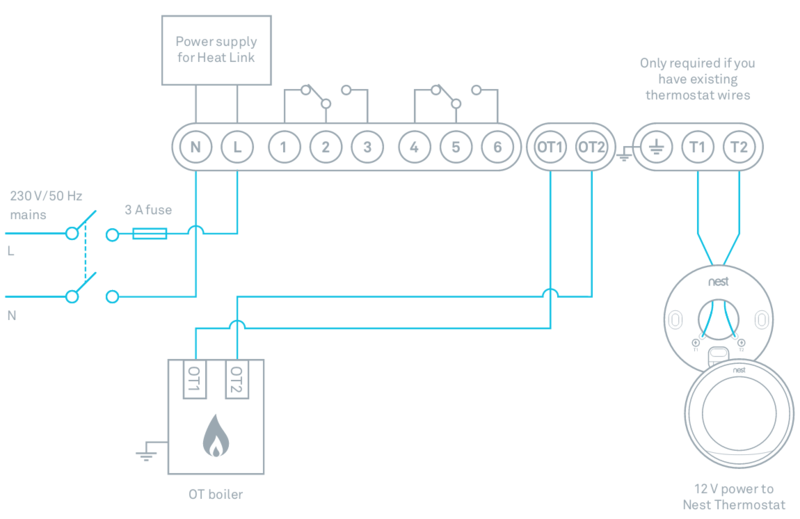 Connecting a 3rd generation Nest Learning Thermostat is pretty simple if you know where to connect the wires. 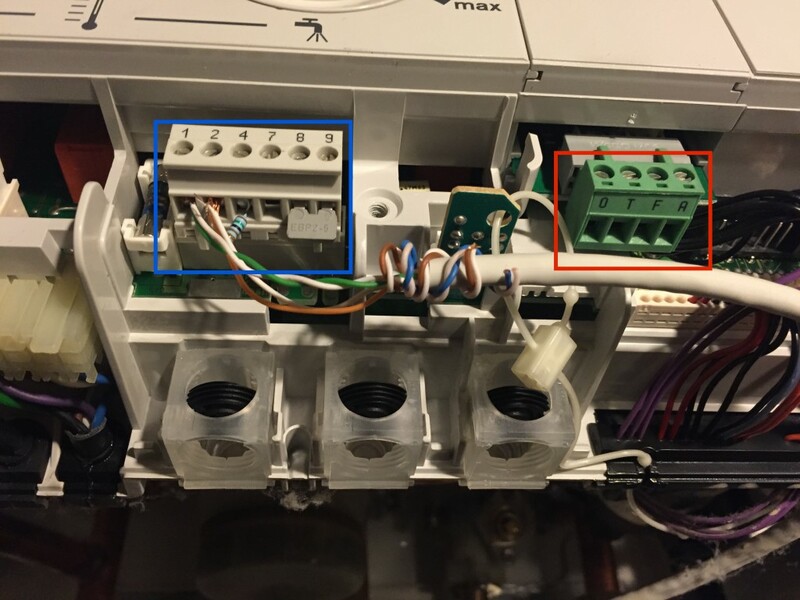 In this blog I have some instructions to connect to the Bosch 26 HRC furnace. 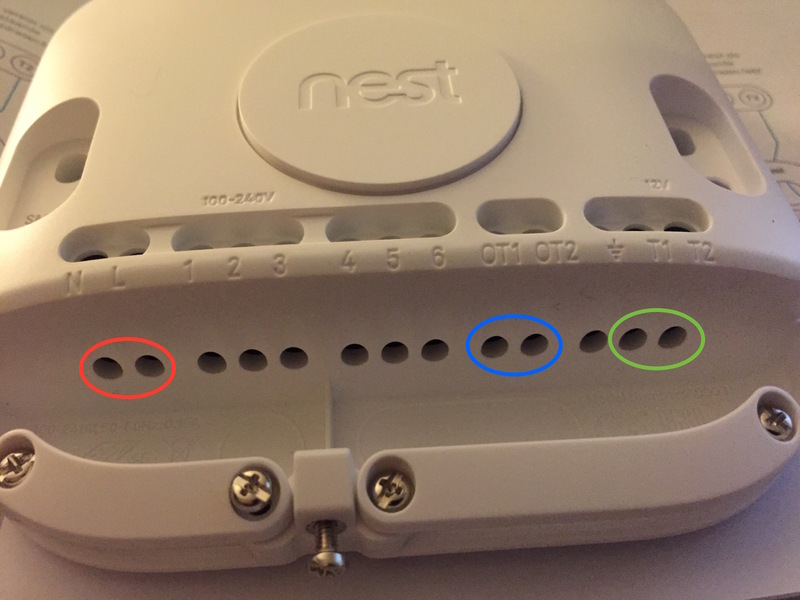 The first part is about the old connection and the second part is about connecting the Nest. First I didn’t get it to work, this was because the OpenTherm module was disconnect for the previous installation. The red circle shows the disconnected plug. 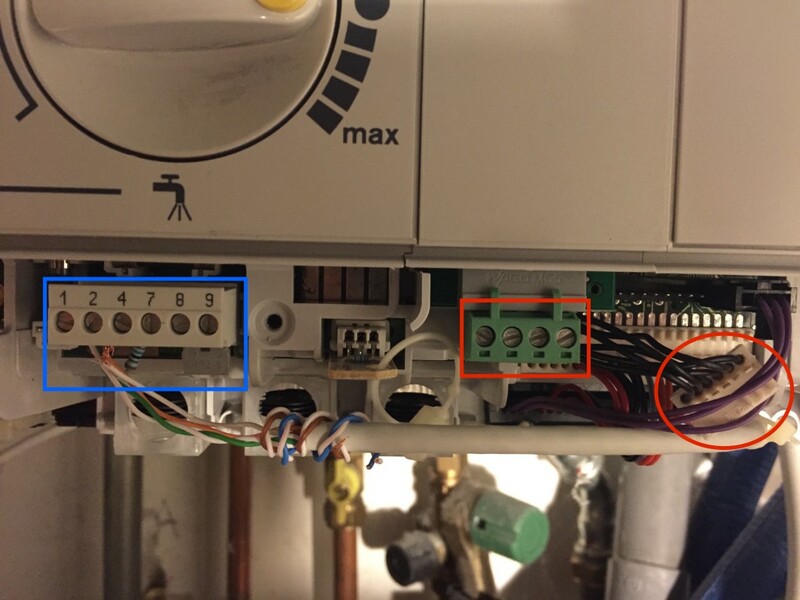 Blue square = Bosch connection, red square = OpenTherm module connections, red circle = Opentherm connector. So the very sloppy wires in the blue square pins 1 and 2 are connected to the old thermostat in the living room. 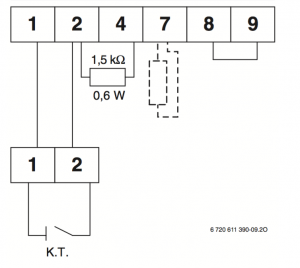 The resistor is connected between 2 and 4 and there is a bridge between 8 and 9. So this was the old working connection with an old non modulating thermostat. The Red square in the picture above shows the pins connected to the OpenTherm module. Bosch calls this the OTM1 in their manual. Now connecting the Nest is simple. Nest comes with a Heat Link unit which you have to connect to the furnace and a thermostat which you probably place in your living room. 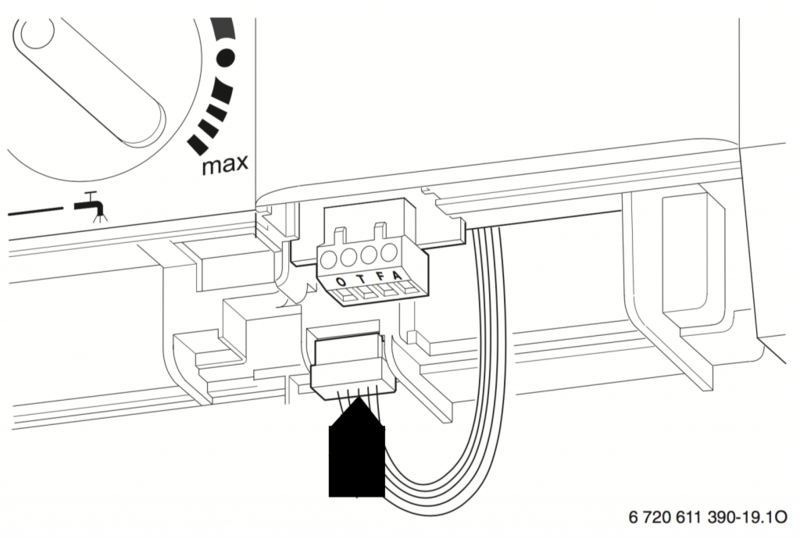 In the Installation Guide you can find this image for this 3 connection pairs. That’s all. the most time I spend figuring out how to the connect the Bosch OTM1 module to the furnace and remove the old wires. good luck! Before you can start your manual IPv6 tunnel configuration, the only thing you need is so called Tunnel Broker. I use the Hurricane Electric Free IPv6 Tunnel Broker. See my post “IPv6 tunnel on Time Capsule” if you need more details about the Tunnel Broker. Most of the time with IPv4 you will enable NAT, with IPv6 this is not needed since the IPv6 address you got from HE (in this case) is specifically assigned to you.